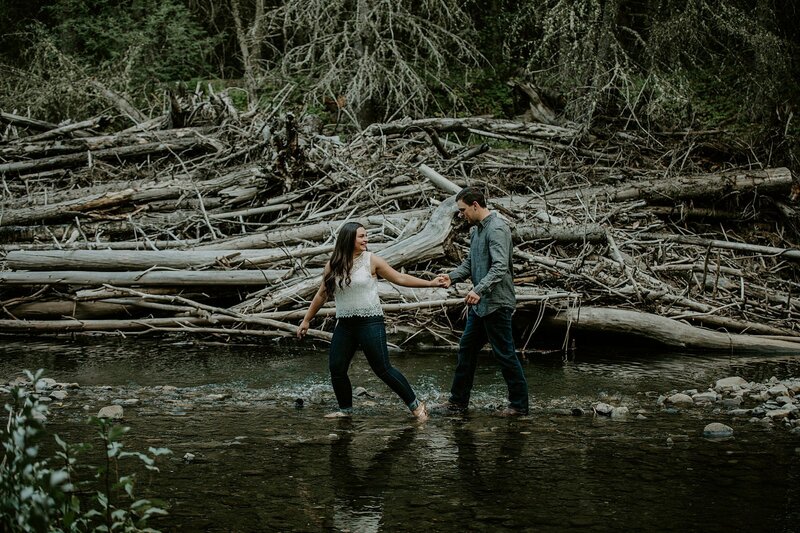 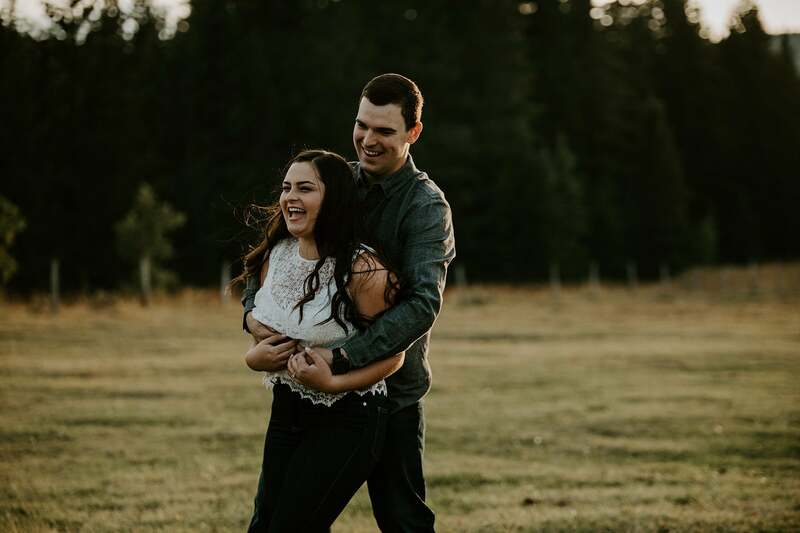 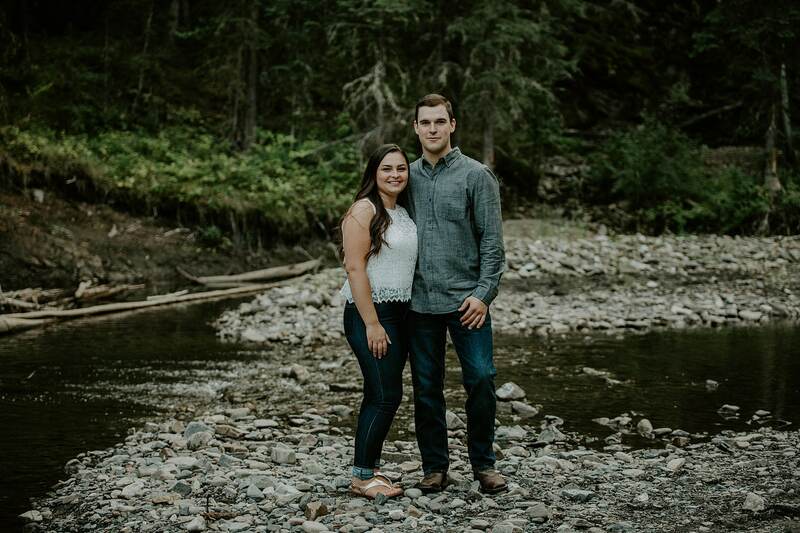 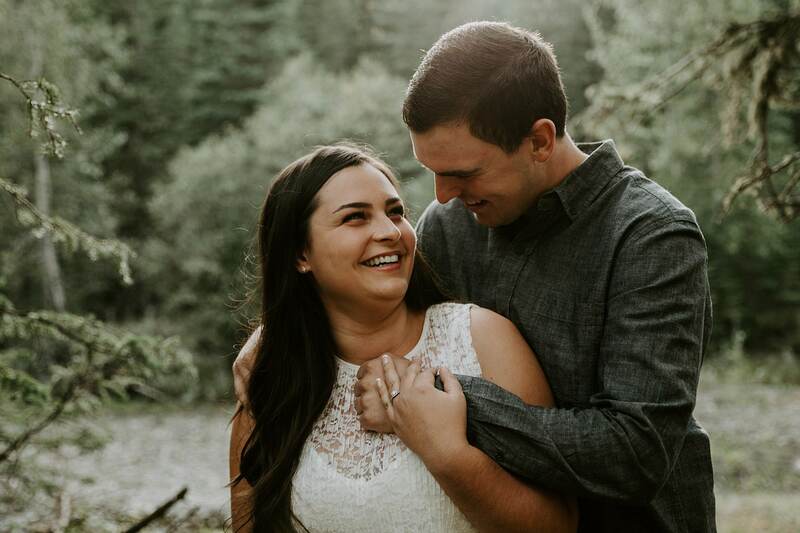 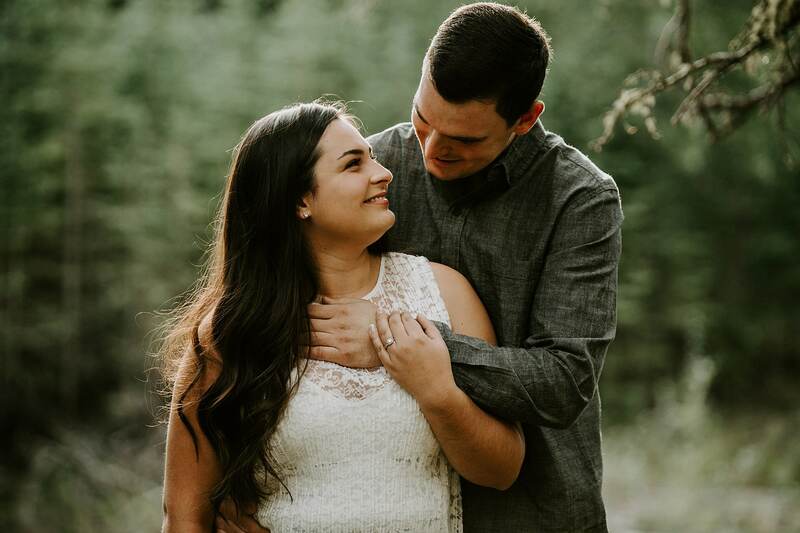 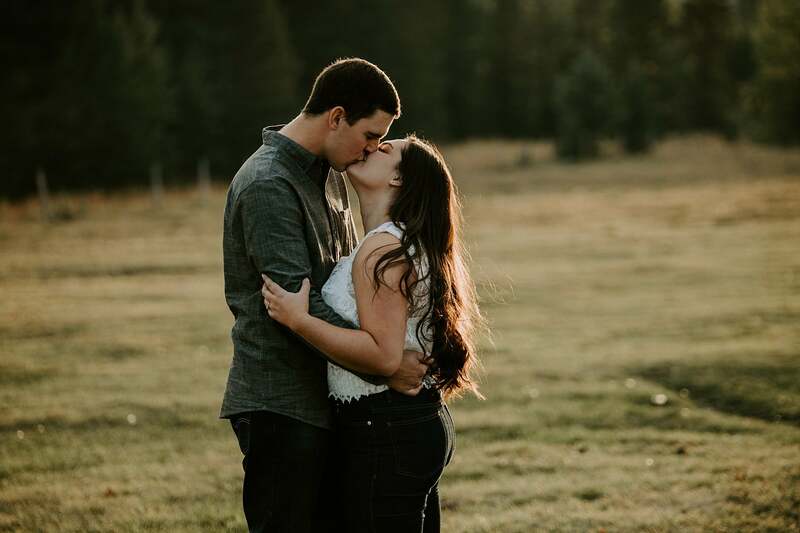 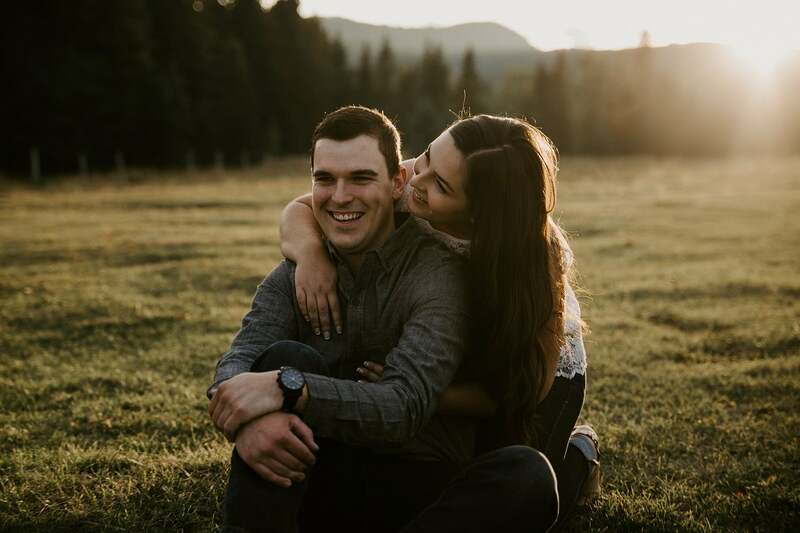 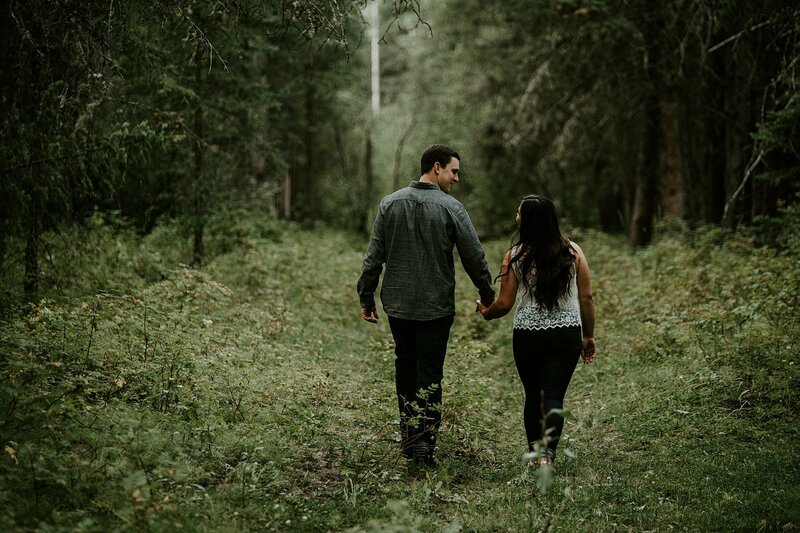 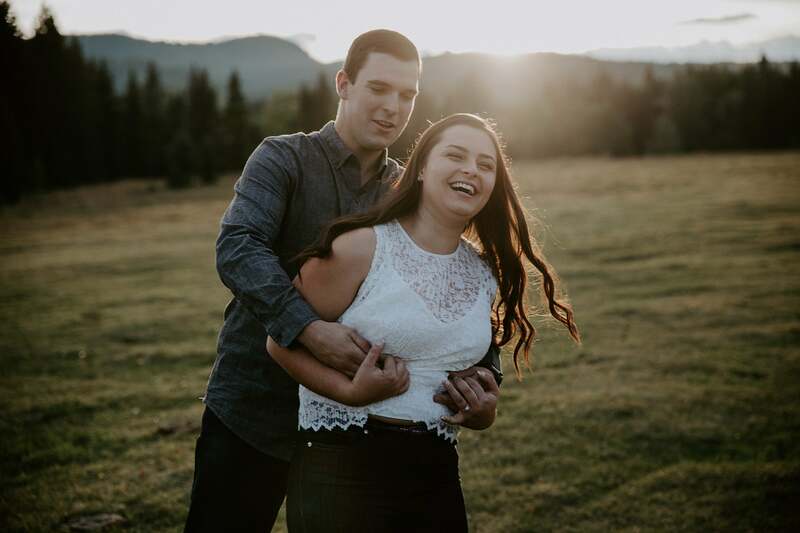 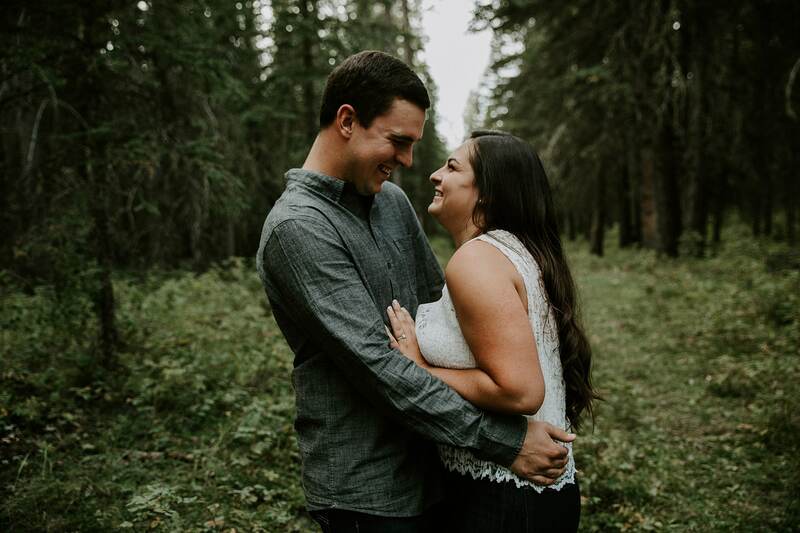 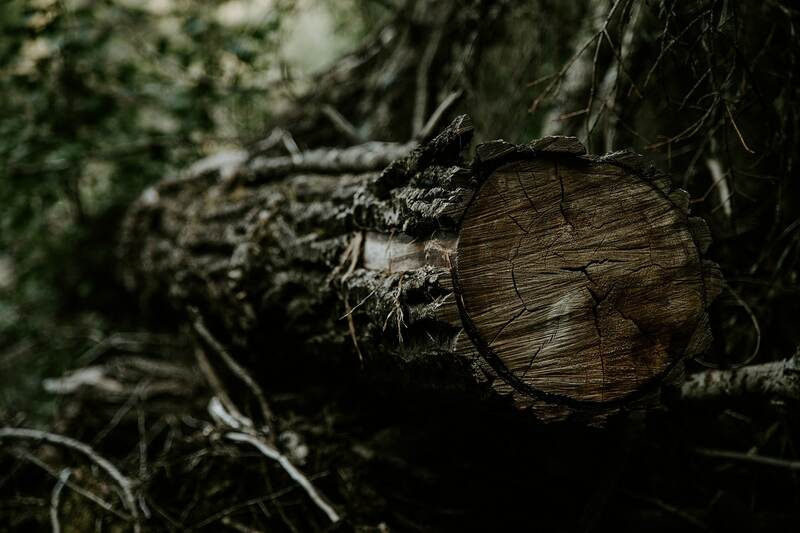 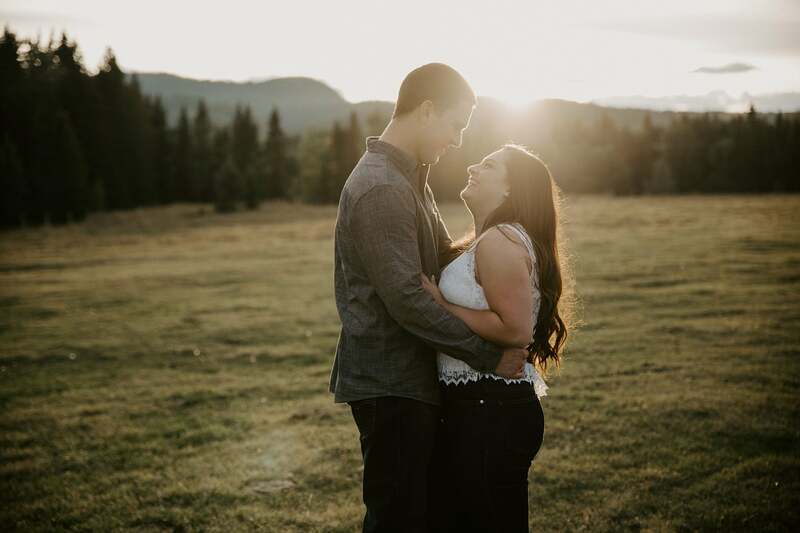 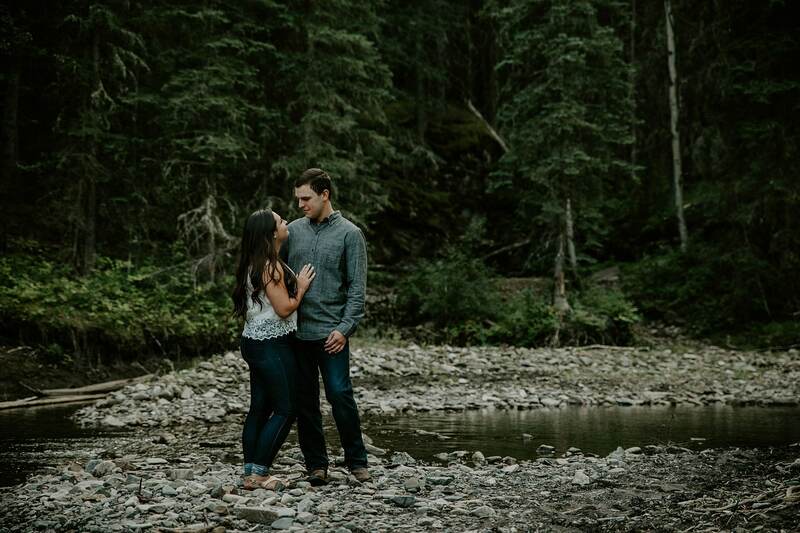 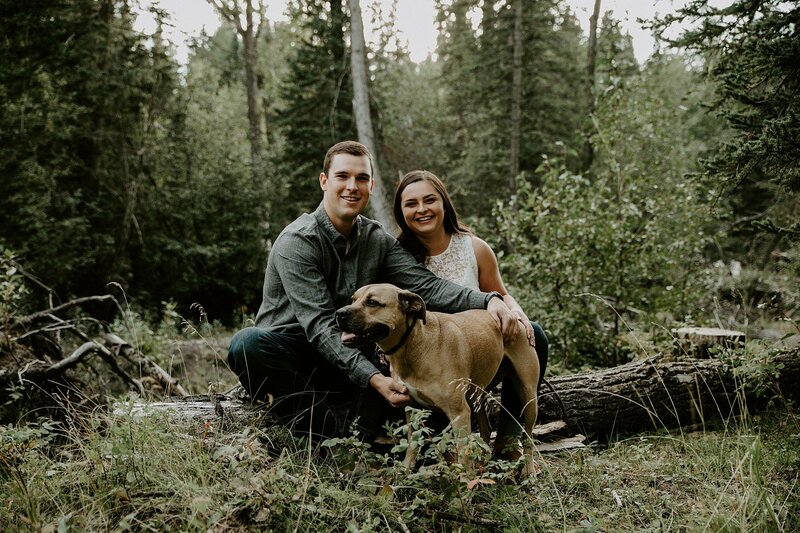 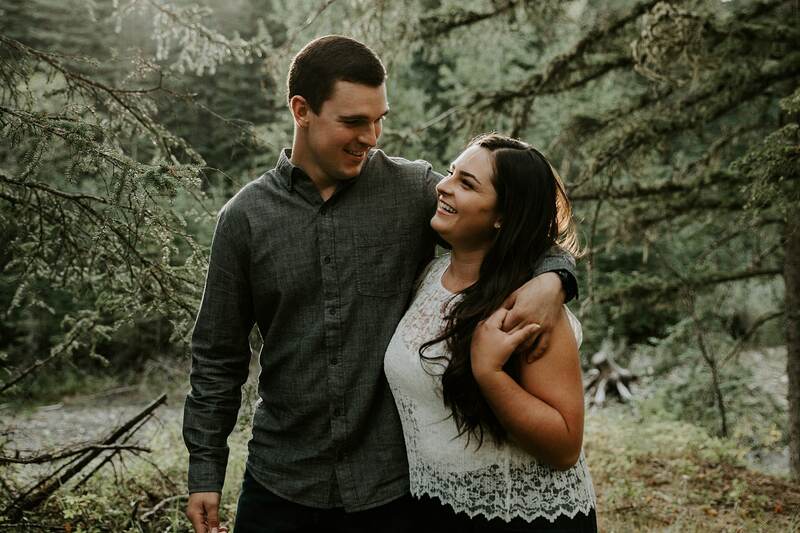 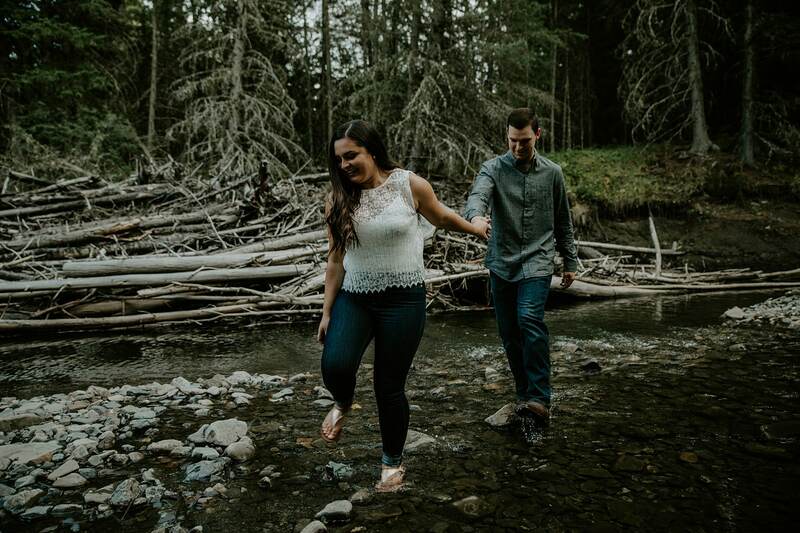 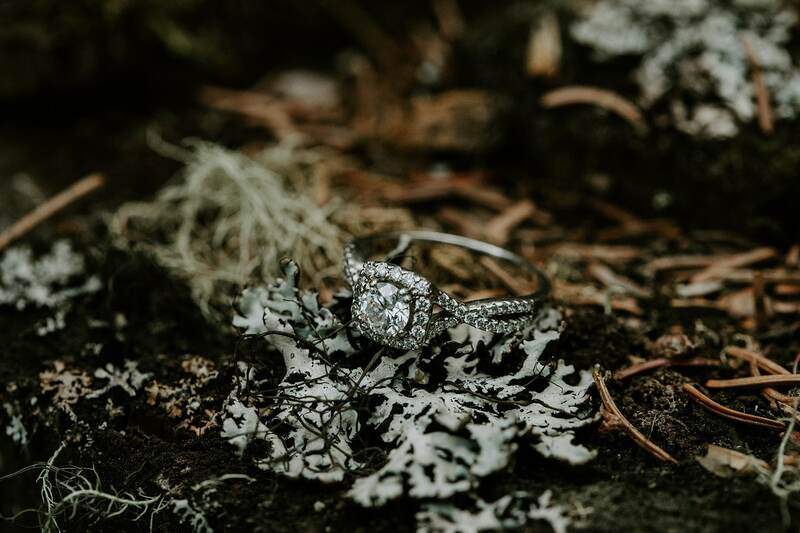 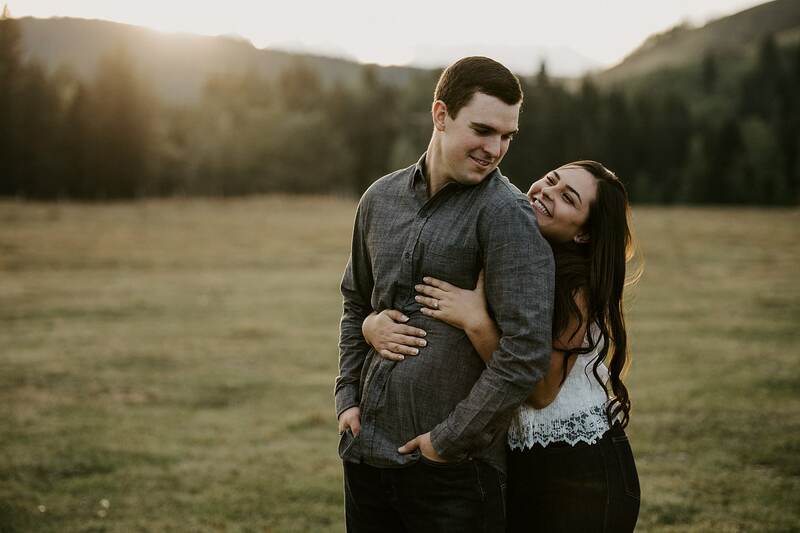 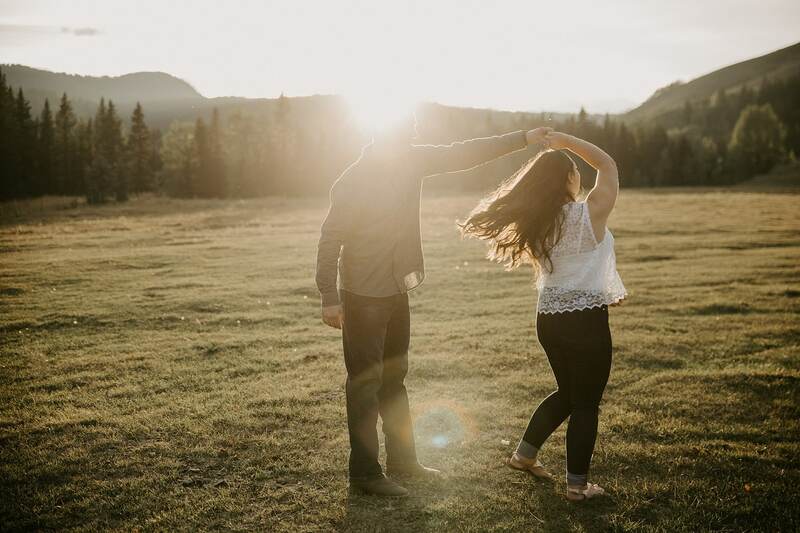 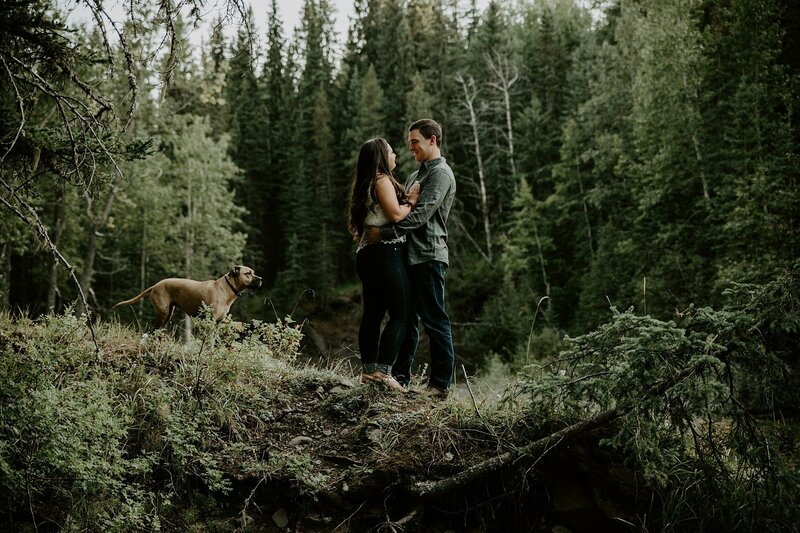 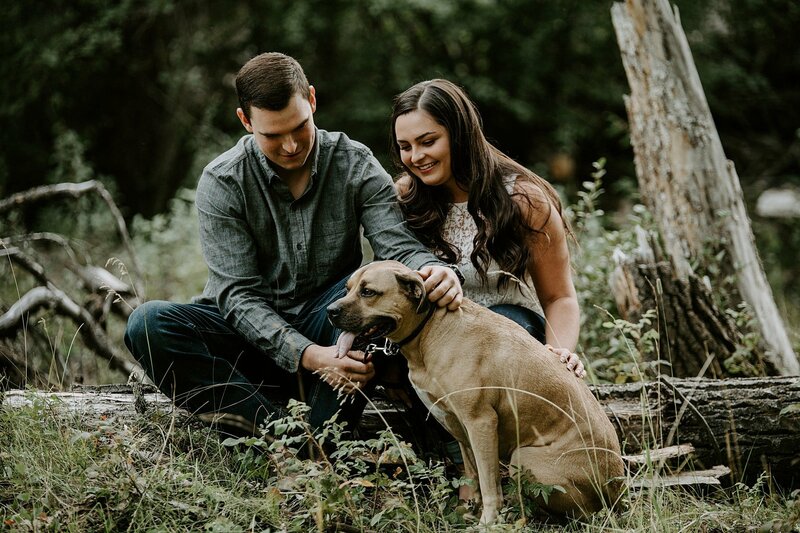 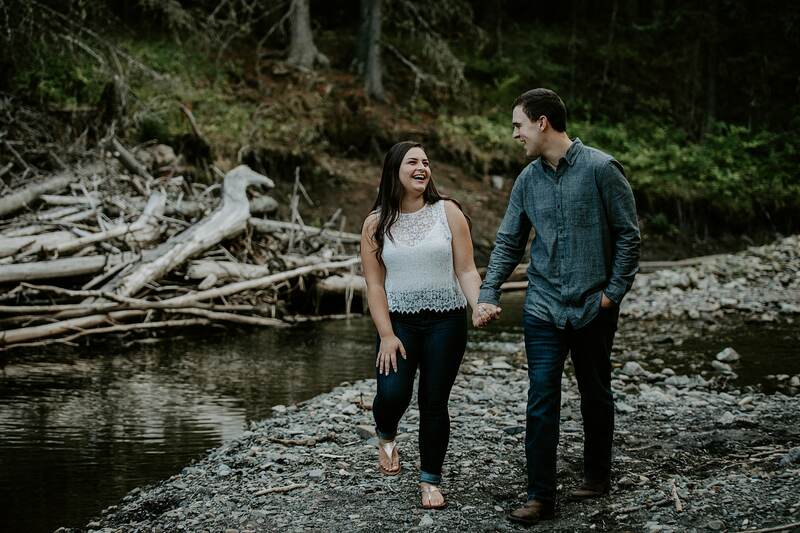 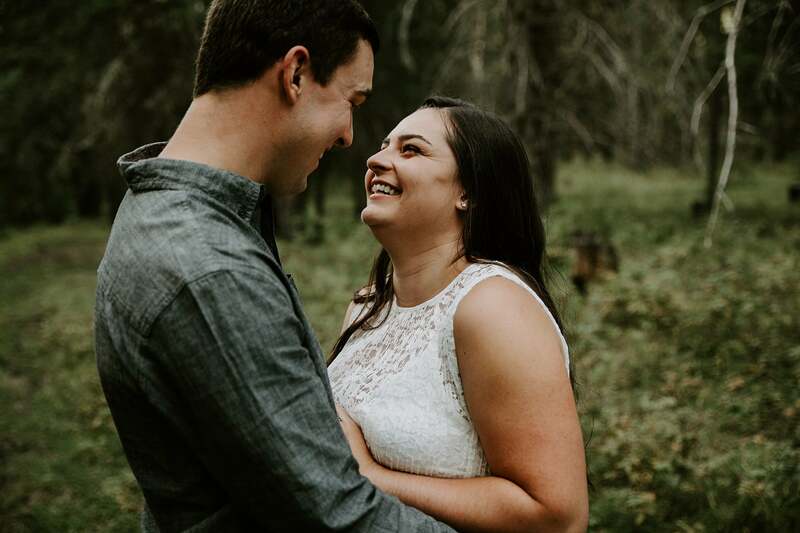 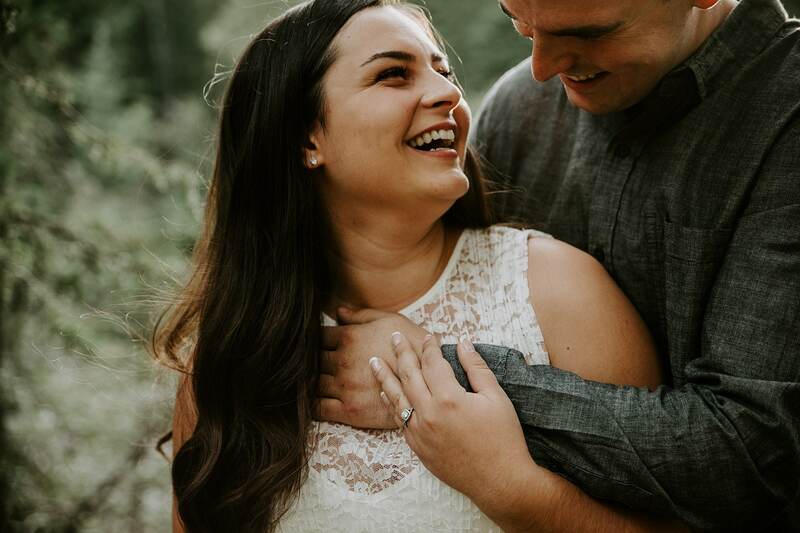 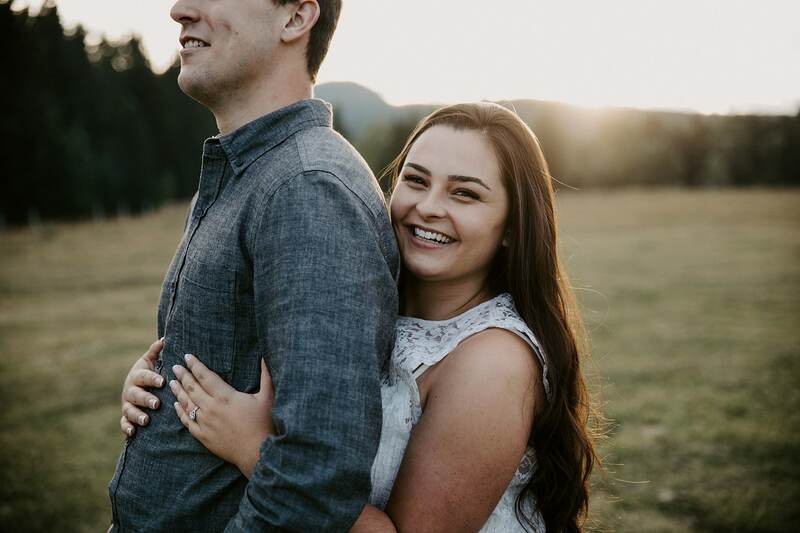 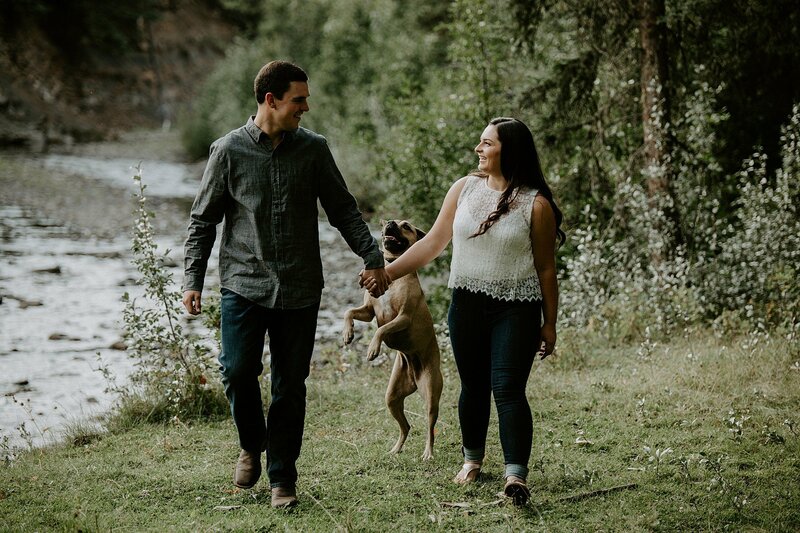 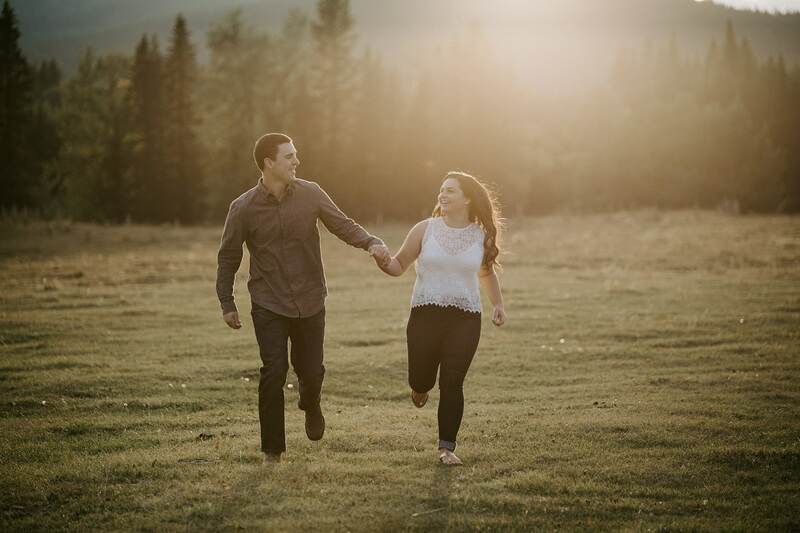 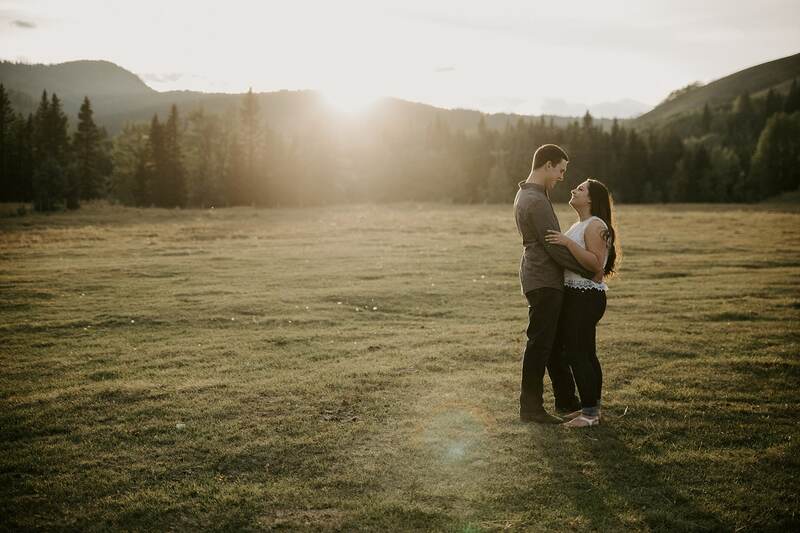 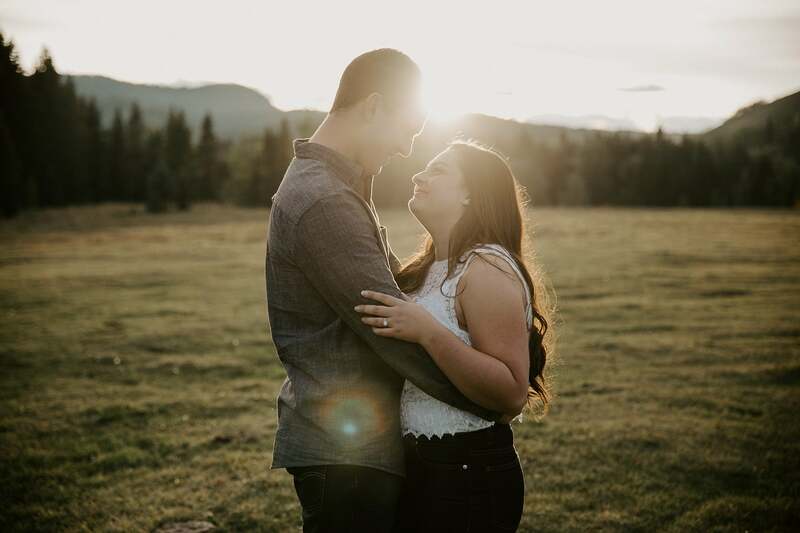 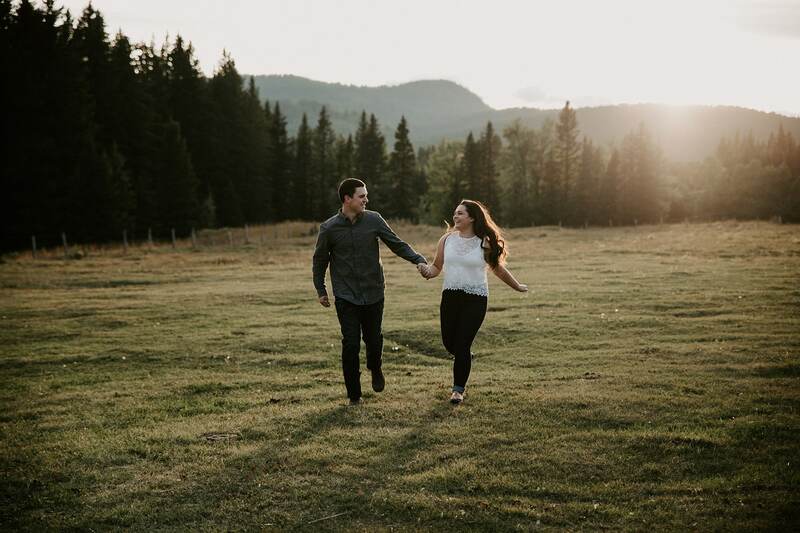 We had so much fun with Tyler & Amira at their Bragg Creek Engagement session. 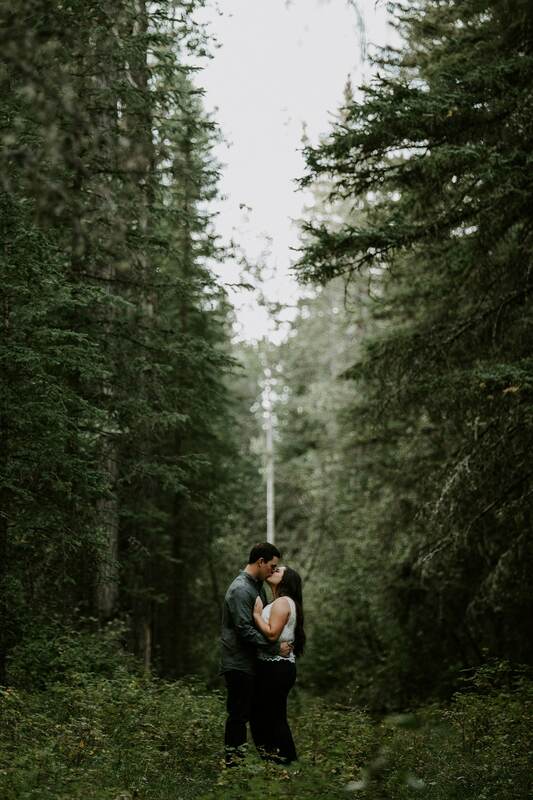 They introduced us to a new area, and wow we’re so happy they did, it is beautiful out there! 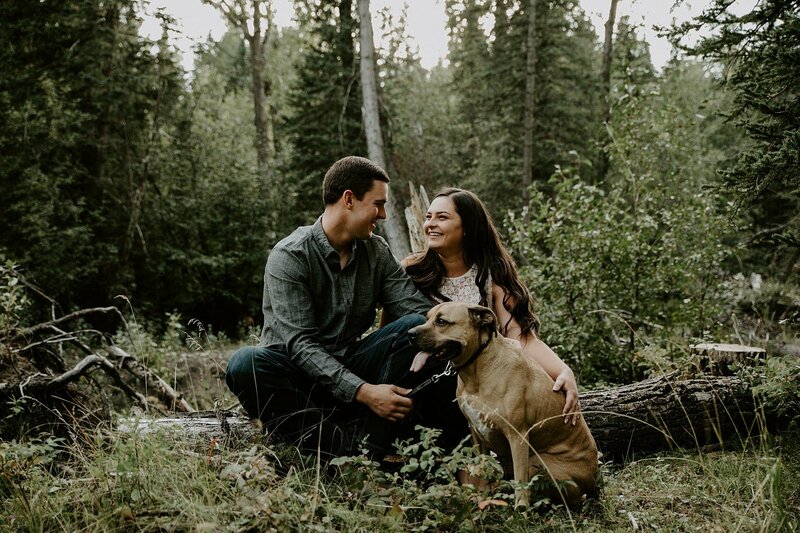 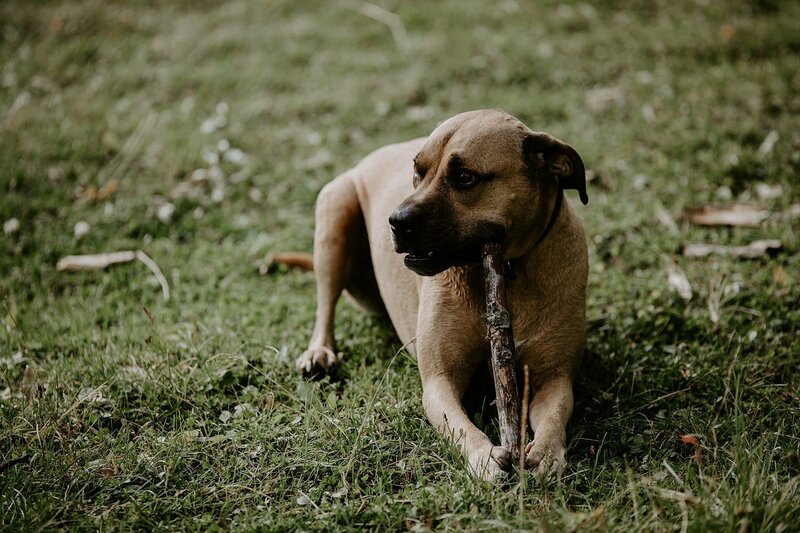 They brought along their pup Bella for a few photos, but she was much more into activities than photos – that’s ok Bella, we get it. 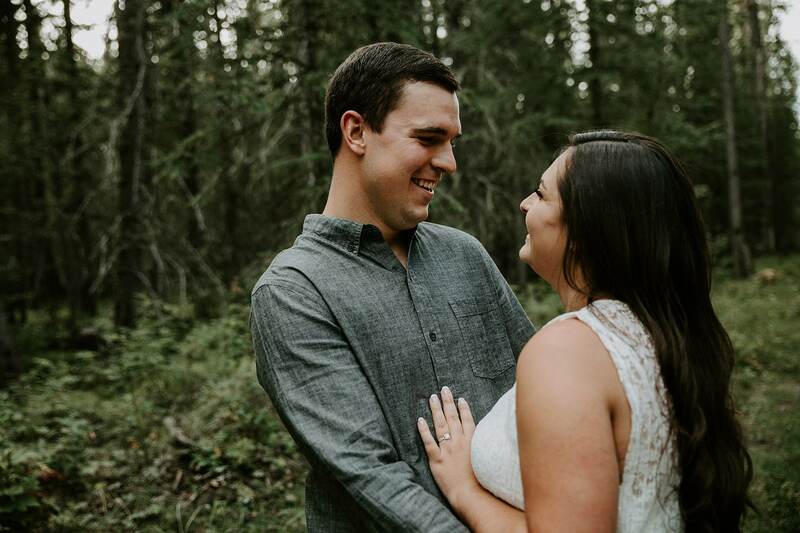 We both swiped right, and are oh so happy we did! 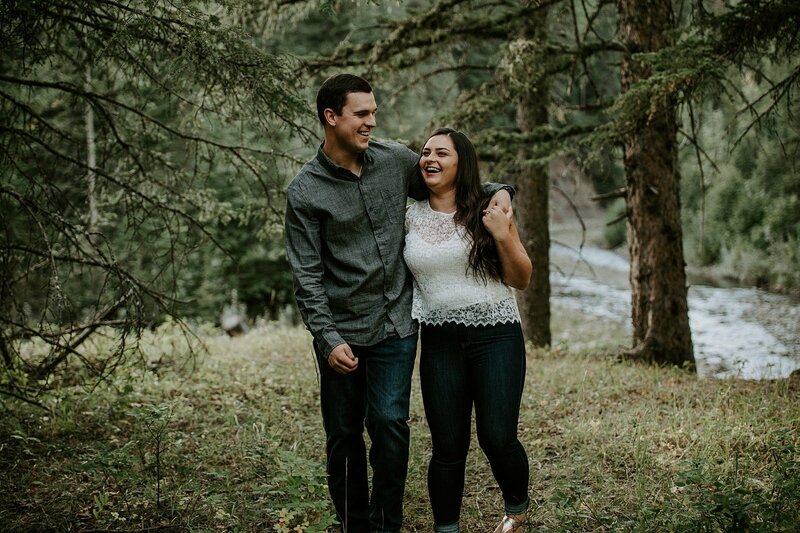 Our first date was at a coffee shop. 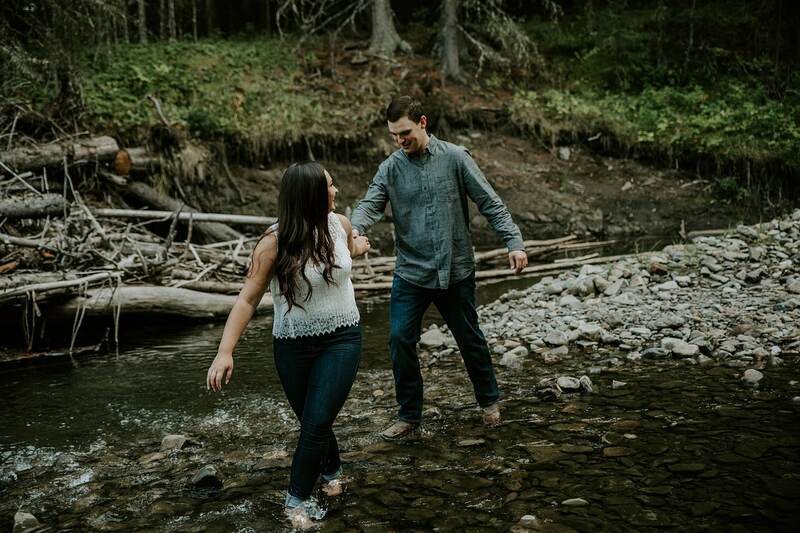 Tyler found out pretty quick that I was a talker, but that didn’t seem to scare him away. 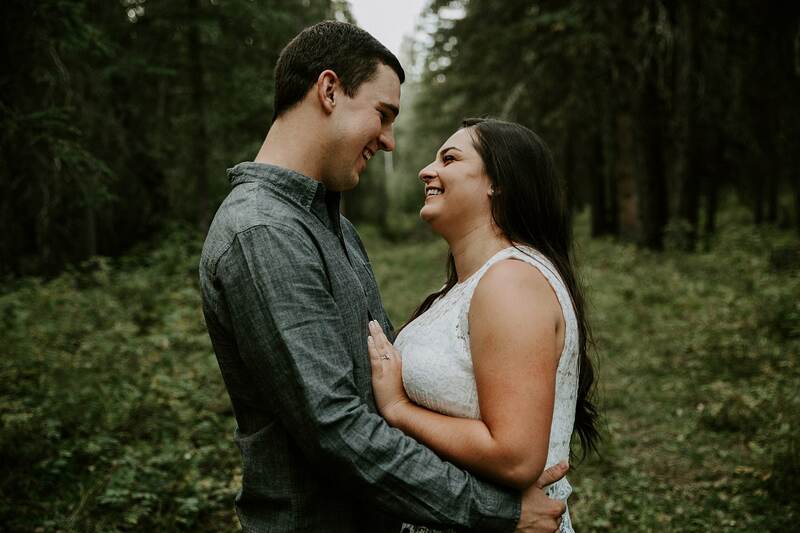 Coffee turned into dinner and we both couldn’t wait to see each other again. 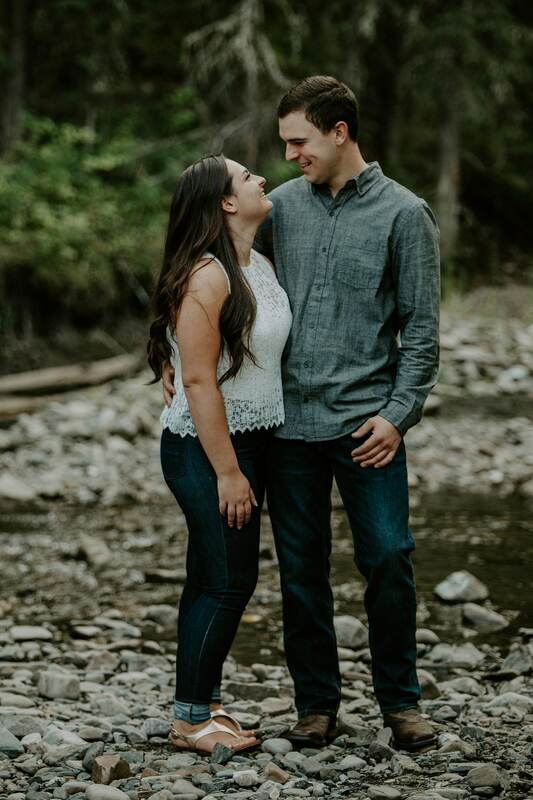 So we had our second date a couple days later and have been inseparable ever since! 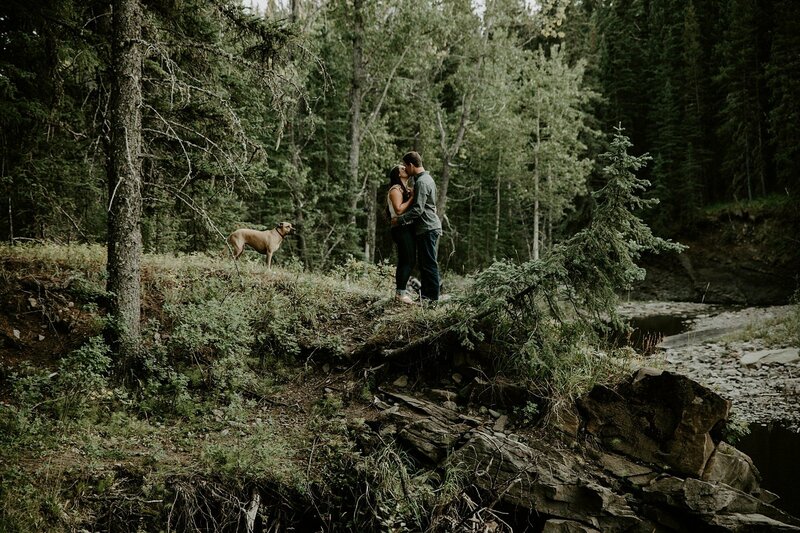 We had planned to end our weekend away in Canmore with a hike. 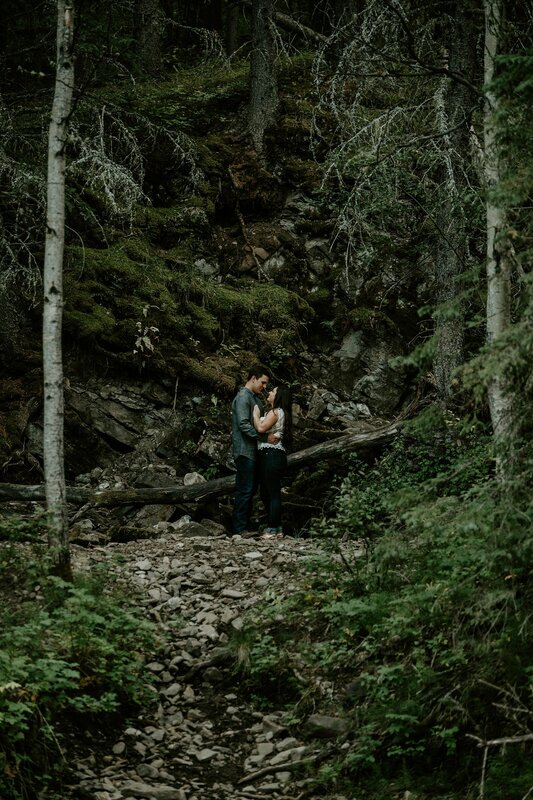 On our way back down, we stopped at a lookout. 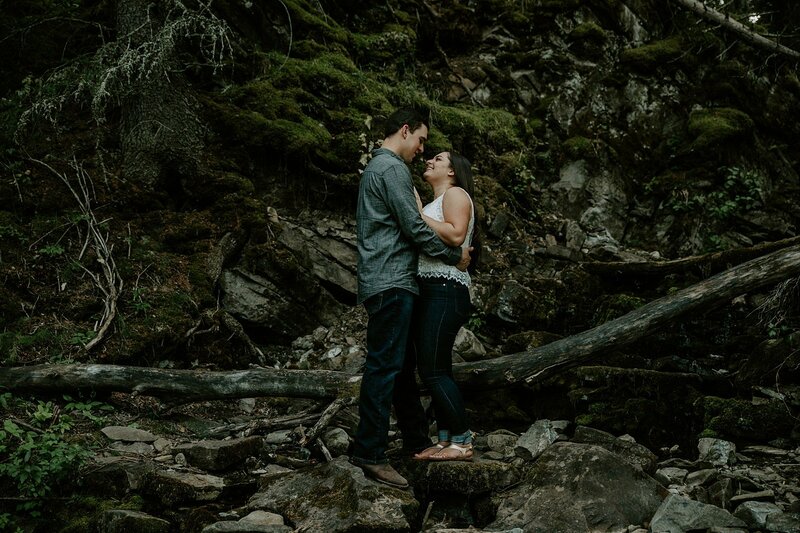 Tyler got down on one knee and asked me to marry him. 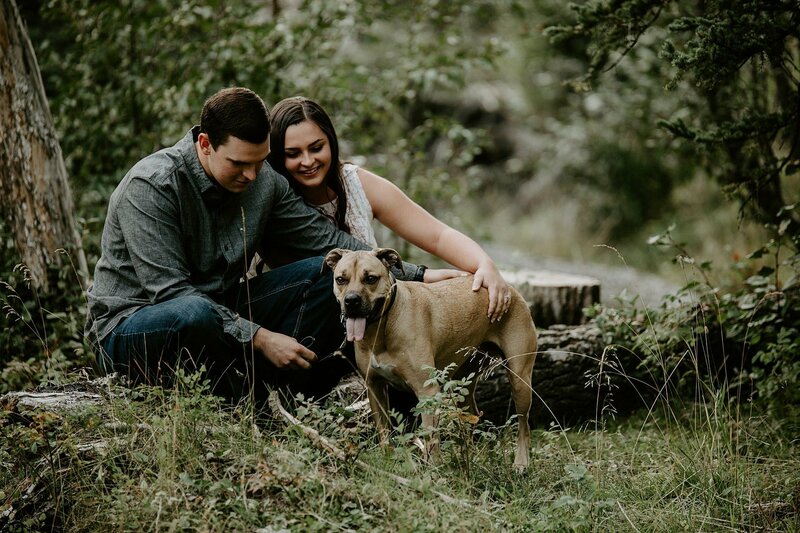 I have never been so surprised! 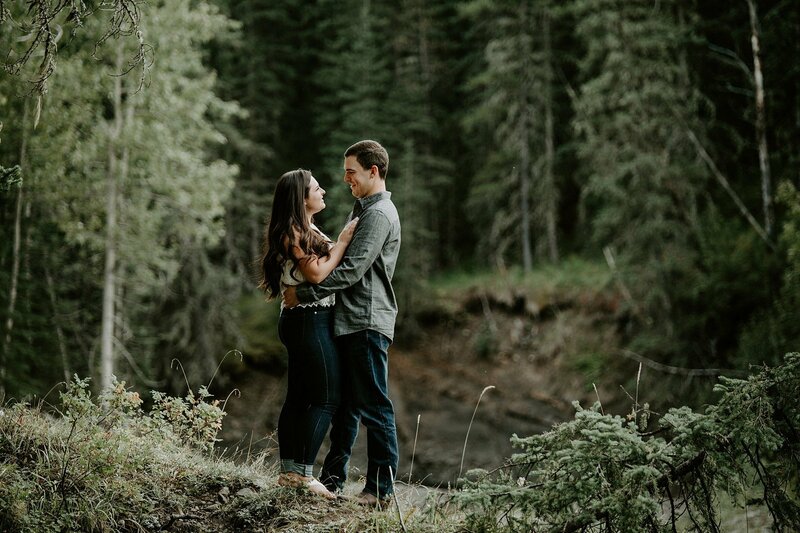 I (of course) said yes! 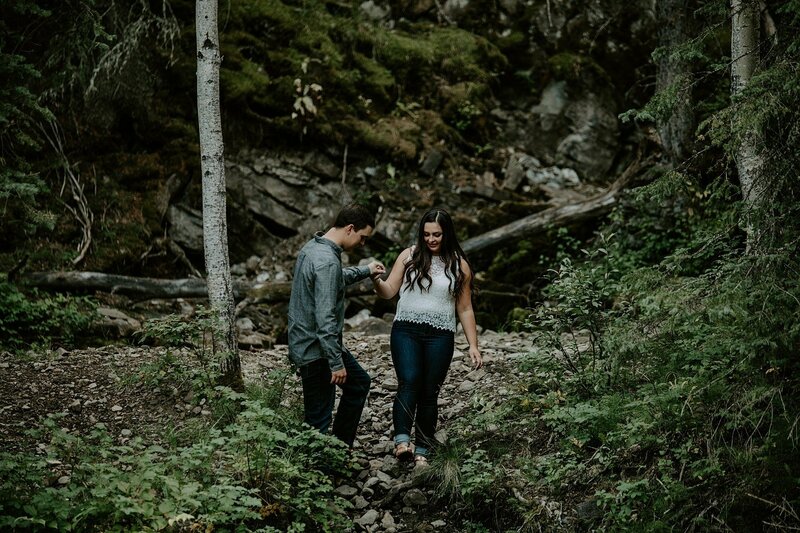 The entire hike down the mountain consisted of me quizzing him about all the little details that he had managed to keep from me over the last few months. 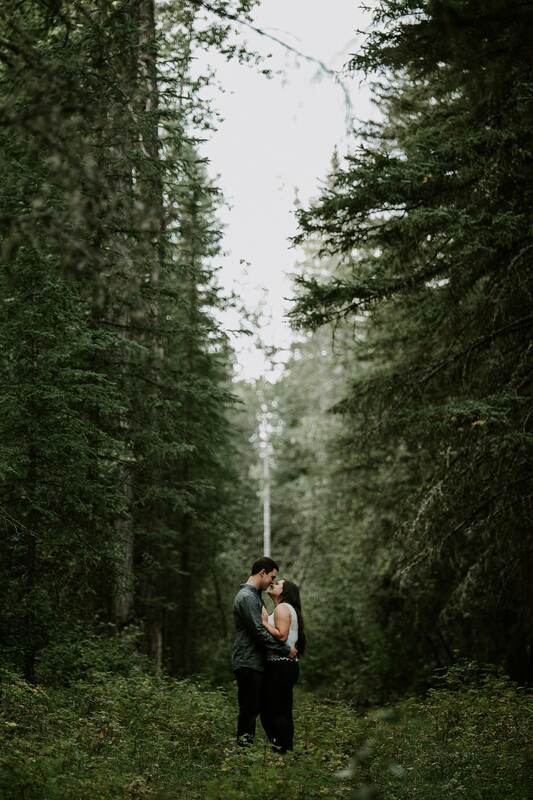 The hike down the mountain went by a lot quicker than the hike up!